Wisconsin: CreateSpace Independent Publishing Platform, 2012. Bound in red and white stiff wraps. A 171 pp. 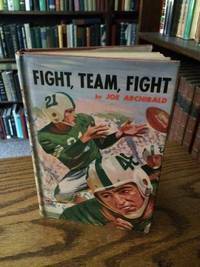 book on playing Sports at Wisconsin. Inforamtive, Scarce (no copies on OCLC or WorldCat). . First Edition. Soft Cover. Very Good ++/No Jacket. New York: The Macmillan Company, 1968. Bound in grass green cloth with title embossed to front panel and white lettering to spine, shows slight darkening to page edges, with scant wear to extremes. Dustwrapper shows occasional overall rubbing and light wear to extremes. 245 pgs.. Frist Edition. Hard Cover. VG++/VG++. Atlanta, Ga.: Turner Publishing, Inc., 1996. Bound in glossy wraps, has colored photos throughout volume and is near-fine condition. 159 pgs.. First Ediiton. Soft Cover. Near Fine/No Jacket. 11" X 8 1/2". Chicago: Triumph Books, 2002. 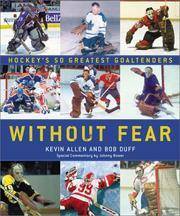 Bound in 3/4 blue cloth panels with yellow spine with silver lettering, has full color pictures of goalies throughout volume. The book is in near-fine condition. Dustjacket shows a 1/2" closed tear to bottom of spine on rear side, with light bumping to spine ends, and is in otherwise near-fine condition. 279 pgs.. Second Edition. Hard Cover. Near Fine/Near Fine. 4to. New York: DK ADULT, 2001. Bound in glossy colored pictoral boards, has colored pictures of subject matter throughout volume and is in near-fine condition, as is the dustwrapper. 160 pgs.. First Edition. Hard Cover. Near Fine/Near Fine. 4to. Skippack, PA: Roby Publishing, 1997. Bound in black cloth, stamped in gold. An incredibly scarce book on Lehigh University Wrestling. Handsome production, 255 pp. printed on glossy stock. Lots of historic photos of wrestlers. Two leaves of addenda laid in. Incredibly scarce -- only one copy on OCLC! . First Edition. Hard Cover. Very Good +/No Jacket. 4to - over 9¾" - 12" tall. AZ: Desert Pubns, 1981. Bound in yellow and black illustrated wraps. A 51 pp. book on Hand to Hand combat with hundreds of illustrations. 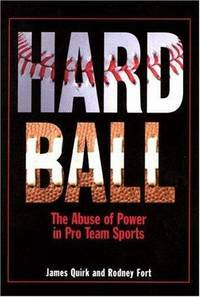 This is a serious book on how to "take down" an opponent. . First Edition. Soft Cover. Very Good +/No Jacket. (no place): Yachting Magazine, 1992. Bound in blue buckram, stamped in gold. A handsome book on the America's Cup race of 1992. Approx. 232 pp.with many color photos of the participants in the Cup race. Printed on glossy stock -- obviously scarce, especially in this (limited?) hard cover edition. . First Edition. Hard Cover. Near Fine/No Jacket. 4to - over 9¾" - 12" tall. 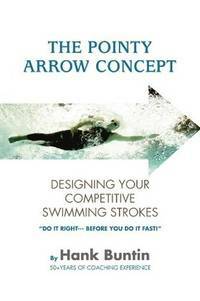 New Jersey: Princeton University Press, 1999. Bound in black cloth with gold lettering to spine; has previous owner's name in blue ink to bottom corner of front end-paper; is in otherwise near-fine condition. Dustwrapper has previous store price sticker to rear panel, and is in otherwise near-fine condition. 233 pgs.. First Edition. Hard Cover. Near Fine/Near Fine. 9 1/2" X 6 1/2". NY: George H. Doran, 1919. Bound in orange cloth, stamped in dark green in a matching dust jacket that shows some minor wear to extremes (none affecting any text). An early reprint ed. of this book of 12 short stories. 281 pp. Tight, clean copy. . Reprint. Hard Cover. Very Good +/Very Good. 16mo - over 5¾" - 6¾" tall. NY: McGraw-Hill, 1982. Bound in red boards, stamped in white in matching dust jacket. Inscribed and Signed by the author on the ffep. 101 pp. White dust jacket shows well . . . . Signed by Author. First Edition. Hard Cover. Near Fine/Very Good ++. Illus. by Arnold Roth. 4to - over 9¾" - 12" tall. U.S.A.: Triumph Books, 2011. Bound in stiff glossy boards, with matching dust jacket. 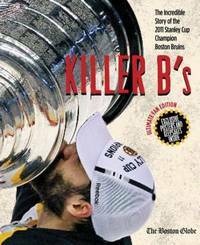 A great book on the Bruins run to the Stanley Cup. 192 pp. Hundreds of color photographs and paraphernalia posters and keepsakes tipped in. . First Edition. Hard Cover. Near FIne/Near Fine. 4to - over 9¾" - 12" tall. Camden, SC: Premier Press, 1984. Bound in gray full leather with three raised bands.stamped in gold. AEG, Illustrated. Quality production by the publisher. 387 pp. This is #1103 of 3000 copies. . Reprint. Hard Cover. Fine/No Jacket. 8vo - over 7¾" - 9¾" tall. Limited Edition. San Francisco: Chronicle Books, 1996. Bound in black cloth with silver lettering to spine; is in near-fine condition as is dustjacket. 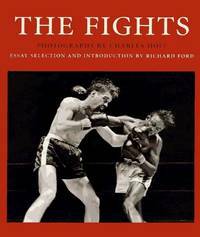 Has black and white pictures of fights illustrated throughout. 127 pgs.. First Edition. Hard Cover. Near Fine/Near Fine. 10 1/2" X 9". Philadelphia: Macrae-Smith, 1958. Bound in red cloth, stamped in green. With the original dust jacket that is price-clipped. The dust jacket was covered with a protective cover since day one, so it shows well (but not the best archival choice). Still, a handsome copy in bright dust jacket. 190 pp. Previous owner's Bookplate, stamp and blindstamp. Scarce in the dust jacket. . First Edition. Hard Cover. Very Good ++/Very Good + - Price-clipped. 8vo - over 7¾" - 9¾" tall. (no place): Xlibris, 2011. Bound in blue cloth, stamped in silver with matching white dust jacket. This book is inscribed and signed on the half-title page by Mr. Buntin. 96 pp. Tight, clean copy. . Inscribed and Signed. First Edition. Hard Cover. Near Fine/Near Fine. 8vo - over 7¾" - 9¾" tall. Philadelphia: Police Dept. , 1949. Bound in stiff yellow wraps stamped in blue. This is a great history of the goings on of the Boys' clubs in Philadephia in the year preceeding (1948). Scarce Philadelphia history with hundreds of ads of local businesses (one excised). The Territory was the North Philly - 5th and Broad to Germantown Ave. and Lehigh Street to Wingohocking Street. 96 pp.. First Edition. Soft Cover. Very Good +/No Jacket. Illus. by Photo-Illustrated. 8vo - over 7¾" - 9¾" tall. Skippack, PA: Roby Publishing, 1997. Bound in black cloth, stamped in gold. An incredibly scarce book on Lehigh University Wrestling. Handsome production, 255 pp. printed on glossy stock. Lots of historic photos of wrestlers. Two leaves of addenda laid in. Incredibly scarce -- only one copy on OCLC! . First Edition. Hard Cover. Near Fine/No Jacket. 4to - over 9¾" - 12" tall. New York: Penguin Books, 1998. Signed on title page. Bound in white and black-striped boards. Stamped in black. Color, sepia, and b&w photos throughout. 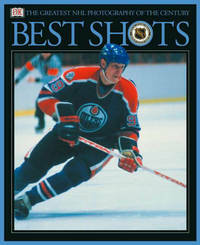 Includes recollections by former players. 175 pp. + index.. Signed by Author. Second Printing. Hard Cover. Very Good ++/Very Good +. 4to - over 9¾" - 12" tall.